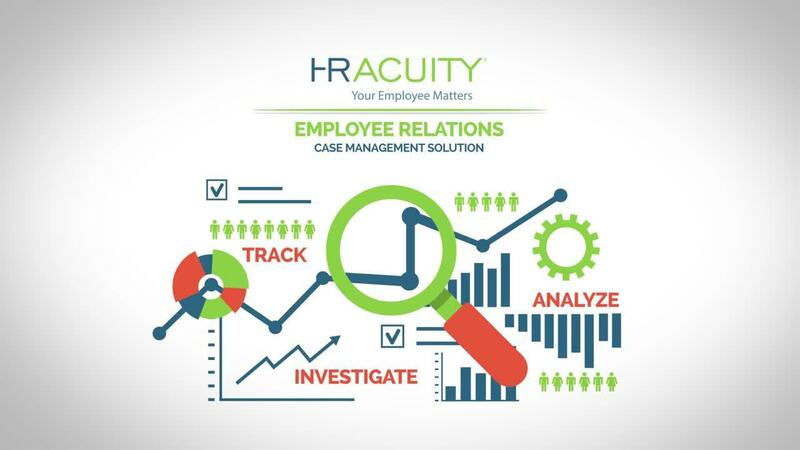 More than case management and better than spreadsheets, HR Acuity provides everything you need to track, investigate, and analyze in a single solution. Track employee relations issues using our easy, standardized process. The centralized repository ensures access whenever you need it. Establish standardized processes to improve fact-finding, drive more consistent outcomes, and reduce risk. Tell the story of what’s really going in your organization with automatic reports and powerful dashboards. Improve retention and engagement by gathering important feedback at the beginning and end of the employee life cycle. Discover how our employee relations case management solution equips you with powerful insights to ensure compliance, protect your brand, and achieve greater organizational effectiveness. Confidentiality and security are essential to ensuring that your organization and employees are protected. With role-specific permissions, safeguards for privileged information, and secure data centers, the safety of your employee relations data is our top priority. Ready to know more? Attend one of our weekly product tours to see HR Acuity in action. Learn how our employee relations case management solution case provides the tools you need to track, investigate, and analyze employee issues the right way.